How would I add a pointer and change the value of the address being pointed to in this script? I've been messing around in CE out of boredom but I can't seem to figure it out. That is only NOPing the instructions, you would need to do whats referred to as a full injection, and then change the value. This is step 4 of the CE tutorial. It becomes 00C9FCD4 instead of 00F7FCB8 which is what I need for the pointer right? I attached a couple screenshots since it wont let me post links. Why the "[THREADSTACK0-258]"? Is "THREADSTACK0" and "THREADSTACK0-258" in memory you allocated? 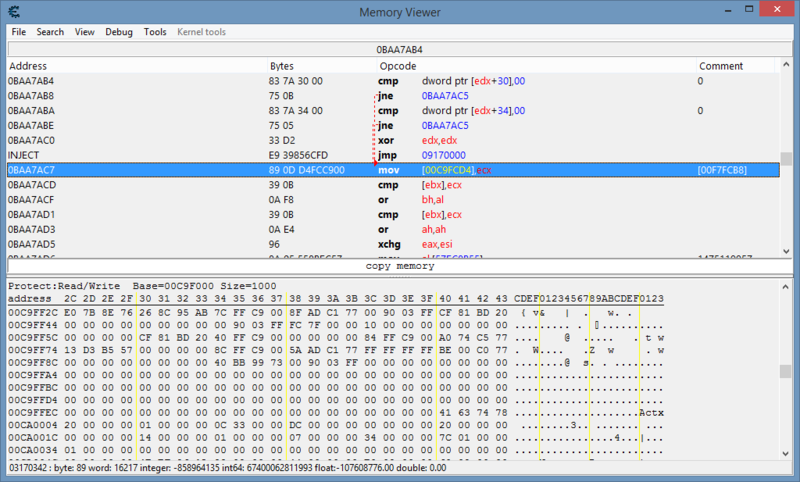 Is the code in memory you allocated? 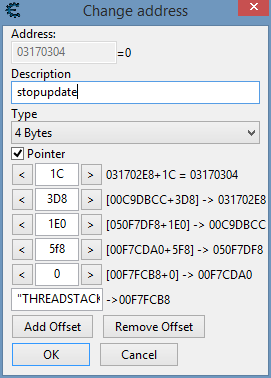 I tend to stay away from "THREADSTACK" based pointers. It's been a while but I want to say those just aren't really static or some thing like that. Yeah I have no idea lol. I'm no expert and mostly just play around with CE when i'm bored. Every time I look for pointers in this game called Stardew Valley I end up with around less than 20 or so and they're all THREADSTACK0s. I read somewhere that the game was made from C# and XNA, so maybe its because the game is a mix of managed and unmanaged code, but I dunno. I would say if you're using the pointer scanner then increasing the levels should help, but I prefer to use injections and hooks. Just check out the CE tutorial in the CE main from Help Menu, for the basics of code injection. Then in your injected code you can just store an address.